Many travelers plan to get to Stonehenge from London during their stay in the capital city of England. Stonehenge is in fact one of the most recurring places in the famous bucket list of people who love traveling the world. 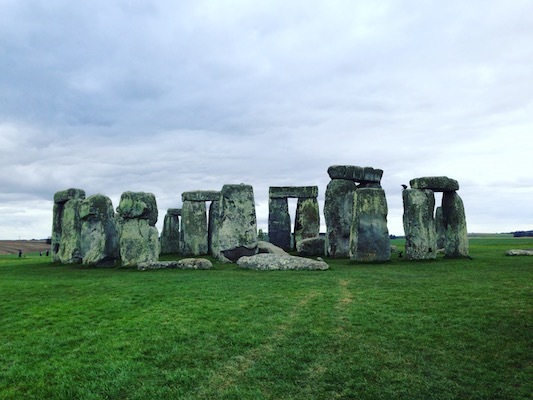 If you too can’t wait to check it off your list, read this article to find information on the archaeological site and how to get to Stonehenge from London. But first of all let’s find out what Stonehenge is. Stonedge. Stonengh. Stonenge. Stonend. Sdontknowhowtospellit. I confess that it took me a while to learn how to spell it. The name Stonehenge means “hanging stone“. It refers to the architraves which are the horizontal stones that rest on the vertical ones forming a structure called trilithon. Stonehenge is one of the most important archaeological sites in the world, but also one of the most mysterious places on Earth. It’s located around 10 km from Salisbury. The site is a fascinating complex of megaliths formed by a cromlech, the outer circle of stones, and an internal structure made of stones placed in a horse shoe arrangement and an altar stone in the middle. Stonehenge was inscribed as UNESCO World Heritage Site in 1986. “That’s easy, Stonehenge is a bunch of stones!”. What seems to be a simple complex of stones is actually a great archaeological mystery and an unexplained masterpiece of engineering. We don’t have any written records, therefore we know very little about Stonehenge and have very little reliable data. What we know about Stonehenge are only the types of rocks that make up the complex and the construction period. Regarding the rocks, we know that the site is made of blue stones and sarsen stones. Blue stones weigh about 4 tons and were probably brought from the rocks of Preseli Mountains in South Wales, an area located about 400 km from Stonehenge. Sarsen stones weigh even 50 tons and were brought from the rocks of Marlborough Down, 30 km from the site. Studies in the dating of the rocks tell us that the first construction began in about 3100 BC and ended in about 1600 BC when the stones had probably been relocated to form a similar structure to the one we see today. WHAT DO WE NOT KNOW ABOUT STONEHENGE? Once we find out how to spell it, there are still so many things we don’t know about Stonehenge. But why is Stonehenge such a mysterious place? First of all because we don’t know how such heavy stones were brought for such a long distance in an age when there was no appropriate technology for transport like that. We can only rely on theories. The most widely held theory says that they probably used a system made of rope, sleds and rollers obtained from tree trunks. But we have no confirmation of this. 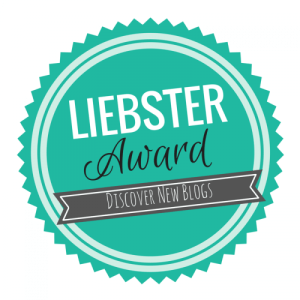 Another mystery concerns the site function. And here we have endless theories: necropolis, sacrificial site, astronomic calendar. The site function as an astronomic calendar is the theory that experts like the most. One of the reasons why they like this hypothesis is because the first rays of light on the summer solstice go through one of the trilithons and shine into the central altar. On this occasion, tourists from all over the world gather in Stonehenge to wait for the sunrise. The summer solstice day is also the only day of the year when people can touch the stones, as on regular days there is a rope between the stones and the visitors. While they wait for the sunrise, the visitors attend a real festival with historical re-enactments and shows that attract not only tourists, but also Druids, members of a religious movement of Celtic origin. 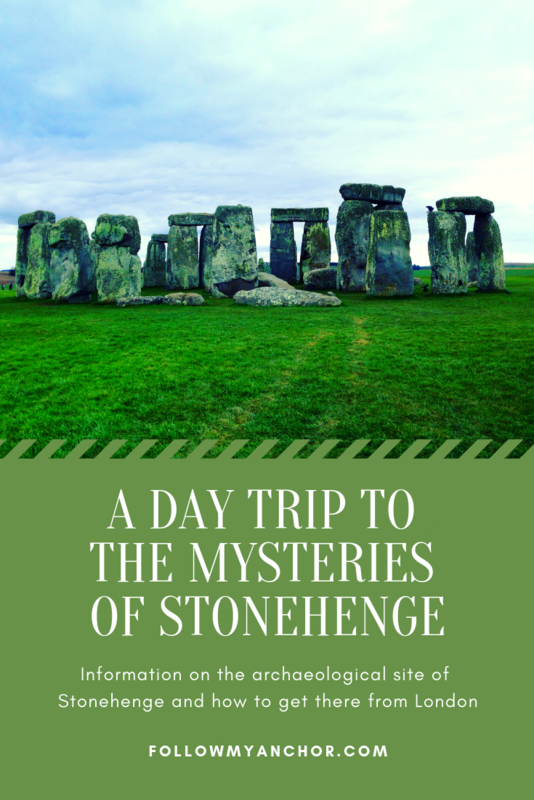 WHAT CAN YOU VISIT IN THE STONEHENGE SITE? Besides the stone circle, in the archaeological site of Stonehenge there are also replicas of Neolithic houses that you can visit to imagine how the Britons of prehistory used to live. In Stonehenge you can also enter a room for a 360-degree view of images of Stonehenge at different times of the day and of the year: at sunrise, at sunset, by night, in summer, in winter, in the snow. 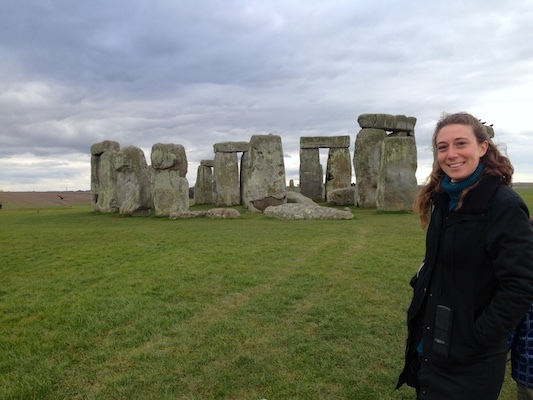 Visits to the archaeological site of Stonehenge require you to buy a ticket for a specific time. So if you don’t want to go to Stonehenge and find out that the tickets are sold out for the day, I suggest you click here to book your ticket online. Adults: £17.50. Children (5–17): £10.50. Children under the age of 5: Free. Opening hours usually go from 9:00 to 17:00 (last entry 2 hours before closing time). However the hours might vary according to the time of the year. HOW TO GET TO STONEHENGE FROM LONDON. There is no public transportation available between Stonehenge and London. So to get to Stonehenge from London you can either rent a car or book a bus tour. If you go by car, follow the directions to Amesbury, Wiltshire, SP4 7DE. Stonehenge is near this address. If you go during peak times and don’t have a ticket yet, you need to pay £5 as parking deposit that they will give you back when you buy the ticket at the visitor center. If you prefer to go by bus, click here to choose your tour. There are options that include other locations, like the Windsor Castle, Bath or Oxford, or tours to Stonehenge from London only. I picked the Express Tour to Stonehenge and I paid £39.40 for the return ticket and the entry to Stonehenge. Once there, you have 2 hours and a half to explore the site on your own with the audio guides available at the entrance. Well, this is all you need to know for your day trip to Stonehenge. A unique and quite mystical day trip that you will never forget! If you have any questions leave a comment here or write to Follow My Anchor by filling the contact form on the website! I must say that I’ve been to London twice and haven’t made it to see Stonehenge yet. I am definitely planning on going the next time I’m there. Thank you for the tips and info! Yes you should totally plan a day trip to Stonehenge next time you go to London. It’s a unique experience! You’ll love it! I would love to visit Stonehenge! It is such a great mystery of how they got those huge stones there and why. I think those theories are accurate guesses, but it is still just amazing. Exactly how many hours away is it from London and how long of a day should we prepare to plan for taking this day trip? I know it’s incredible how they got those huge stones there in an age when they had just primitive tools! From London it would take about 2 hours to drive each way. The archaeological site is pretty small but take your time to enjoy the mystic vibe of Stonehenge. I think 2 hours should be enough. So consider to take half day (about 6 hours) to visit Stonehenge from London. Such a great post on a subject that has been making lots of controversy for decades and even centuries! How did those stones get moved such a distance? More to the point, WHY was it done? There had to be a big reason to go to all that trouble and effort to create something that difficult, yet quite fascinating as well. I wonder if we will ever know these answers. Maybe not. But in the meanwhile, it will no doubt remain a popular site to see and talk about for generations to come. Thank you so much Nicole! I know, Stonehenge is that kind of place that once you see it will puzzle you with so many doubts! I visited Stonehenge quite a few years ago and to be be honest I wasn’t that impressed, lol. But maybe if I would have known what you shared about what makes it so mysterious I would have appreciated it more! Ahahah I know, I went with a friend of mine who had the same reaction: “ok, it’s a bunch of stones”. It’s actually not the site itself to be impressive, but everything behind and the questions that it raises that might be unresolved forever. When I visited the UK almost a decade ago, someone told me that Stonehenge is one of the most overrated sites and I ended up not going but what a pity! It’s quite interesting to wonder what the purpose of the site was and why the stones were brought there in the first place, also, how? Mysteries are always intriguing and I wish i had visited the site then when I had the opportunity! I am definitely visiting Stonehenge even if I have to to go out of my way or take a detour. Your post was brilliant. Love the pictures you take too. I have always wanted to see Stonehenge… but always pictured it to be teeming with crowds. Your pictures show it relatively empty which is inspiring! Thanks for sharing all the things we do and don’t know about the site. Great post. Thank you Heather! I know I was pretty lucky as there were not many people when I went. Try to avoid to go there in summer, unless you want to see the summer solstice, as it gets way crowded that time of the year! I remember the first time I saw this in the movies. I wanted nothing more than to actually see it in person. One day I will be able to visit here. 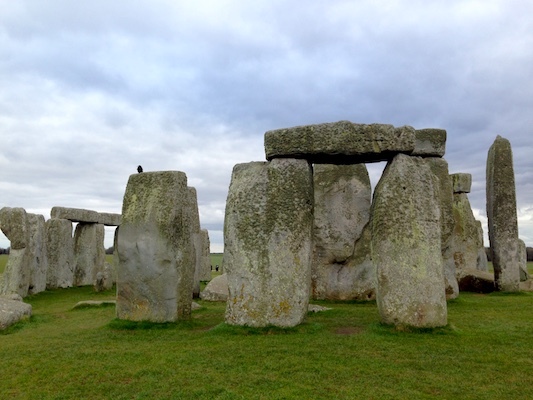 Awesome post, we went to Stonehenge on the way back from our stay in Cornwall (to London). It was an impressive stretch of land, and honestly, I was amazed by how large the land was (an also found it funny that you could see things from the main road!)! I learned that if you are going to be doing a lot of touristy things while there, you can buy a heritage pass that includes Stonehenge in it! I have visited Stonehenge a number of times yet every time I read about it makes me want to visit it again. It’s so magnificent and the whole myth around it. 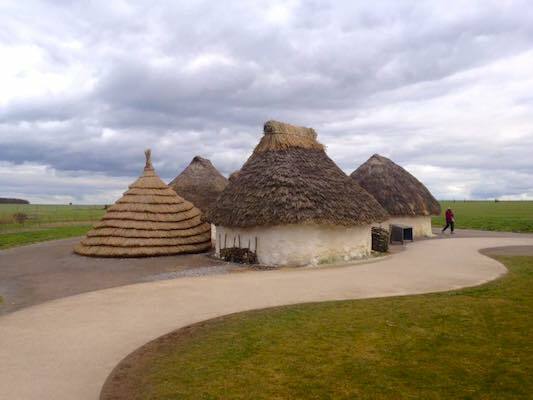 I must say have not been to the Neolithic houses and must visit it. It’s s great day trip from London specially if you get the weather. Thanks for sharing a great post. Stonehenge is a place, that I think everyone should visit once in a lifetime. I have never heard though, that there are things to do next to it. So yes, thanks for the instruction.